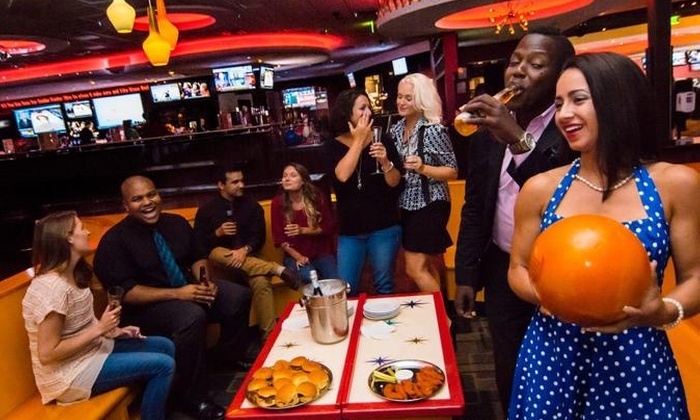 Kings Dining & Entertainment opened its first food and bowling complex in Boston, back in 2002 as Kings Bowl America. In the years since, the company has expanded in geography and the types of entertainment it offers to customers. Today, depending on the venue, customers of all ages can take part in bowling, billiards, ping pong tables, watch feature films, and more. To fulfill that promise, the organization must run efficiently and leverage IT to its fullest. For Kings, the IT backbone of its operations is POSitouch point of sale (POS) software. The first Kings venue had six POS units installed at the bar, wait stations, and in the billiards room. Additionally, there’s one POS station for the shoe rental counter at the bowling alley and one POS unit in a private room. Finally, there was a mobile POS terminal to handle satellite rooms — impressive for a POS system back in 2002. Today’s Kings locations average 15 POS terminals, including mobile devices. Boston-based restaurant IT provider, Retail Control Solutions, earned the initial project work and has been partnered with POSitouch and Kings for restaurant IT installation and support ever since. Flexibility—Looking back at the initial decision made for Kings Bowl America, Rob Cotton, major accounts manager for Retail Control Solutions says POSitouch was chosen primarily due to the flexibility of the software to accommodate the diverse needs of the facility. For example, guests could come in looking to get time on a bowling lane, rent shoes, dine at the restaurant, or have a drink at the bar. “The owners sought a single system with the capability to handle each revenue center, he recalls. “What they found in POSitouch was not only a system that could meet all their current needs, but a company flexible enough to address Kings’ future needs.” Other POS systems evaluated at the time lacked either the necessary functionality or a willingness to work with Kings as a partner. Monitoring—Downtime is further reduced thanks to a monitoring module that continually checks critical aspects of Kings’ operations, keeping track of everything from the terminals themselves, to printers, other peripherals, and even cash drawers that need to be emptied. If there’s a potential problem, alerts are issued so management and staff can act. Gift Cards and Loyalty—Yet another benefit of POSitouch is the software’s gift card and loyalty functionality. “As Kings expanded, it was essential to be able to use gift cards regardless of which location they were purchased, says Cotton. “POSitouch has a cloud-based central repository of all gift cards, allowing them to be bought and used anywhere.” Kings also uses POSitouch’s integrated loyalty functionality. Tied to CRM, the company can create compelling marketing plans with trackable results. In both cases, Kings management is better able to understand customer behavior and focus more on what works, rather than what doesn’t. Labor Management—Rather than have punch clocks or a stand-alone time management solution, Kings takes advantage of POSitouch’s integrated labor management functionality. Not only can employees track their time, but management can also create schedules based on the effectiveness of staff and forecasts of busy and slow times. Menu Management—Many menu items are shared across all Kings locations, but there are also items unique to each locale. With POSitouch’s Quick Menu solution, Kings can manage its menus from one central location, says Cotton. Not only can items be added and removed, but prices and taxes can also be adjusted for each site. Beyond food, Kings uses Quick Menu to track the more than 40 craft beers on tap at certain locations. What began as a single location in 2002 has turned into 11 locations across many cities and states. Kings’ growth shows no signs of slowing down. While many restaurants and similar organizations change point of sale (POS) systems as their needs outgrow the system, Kings has continued to use the system it initially selected due in large part to the above functionality and POSitouch’s willingness to address Kings’ needs. In short, both companies have a desire to reinvent themselves for their customers continually. Founded in 1985, POSitouch is based in Warwick, RI and their premium restaurant POS software has been installed in over 50,000 locations throughout the U.S., Canada, South America, Europe, and the Far East. Their client base includes many notable national chain accounts such as Outback Steakhouse, Bonefish Grill, Houlihan’s, and many others. For more information, visit www.positouch.com.